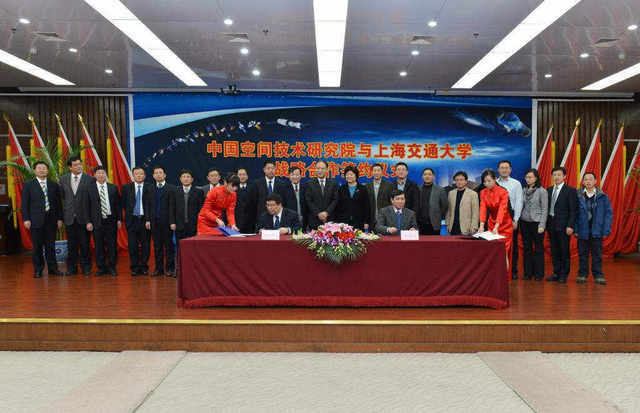 In order to advance the construction of national innovation system and speed up the cooperation process of production, teaching and research, the signing ceremony of Strategic Cooperation Agreement between SJTU and China Academy of Space Technology (CAST) was held on the morning of December 18. CAST President Yang Baohua, Vice-President Li Ming, and 11 department heads attended the ceremony. 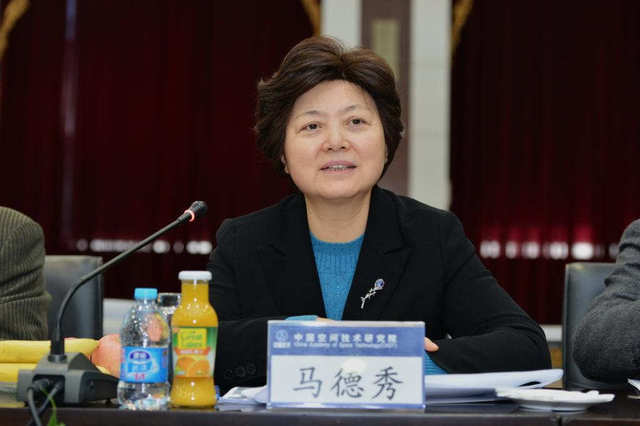 Chairperson of SJTU Council Ma Dexiu, heads and teacher representatives of Institute of Advanced Technology and Equipment, Office of Party Committee，SJTU Job Center and relevant schools also attended the ceremony. Yang Baohua expressed a warm welcome to SJTU's visiting staff. He introduced the development of CAST and congratulated on the signing of Strategic Cooperation Agreement between the two sides to accelerate the cooperation process. Ma Dexiu thanked CAST for the warm reception and congratulated on the irreplaceable contributions made ​​by CAST to the country's core competitiveness. Accompanied by Yang Baohua, SJTU delegation also visited CAST's show hall and relevant laboratories. They exchanged views on future cooperation under SJTU's current research foundation.